BAM! 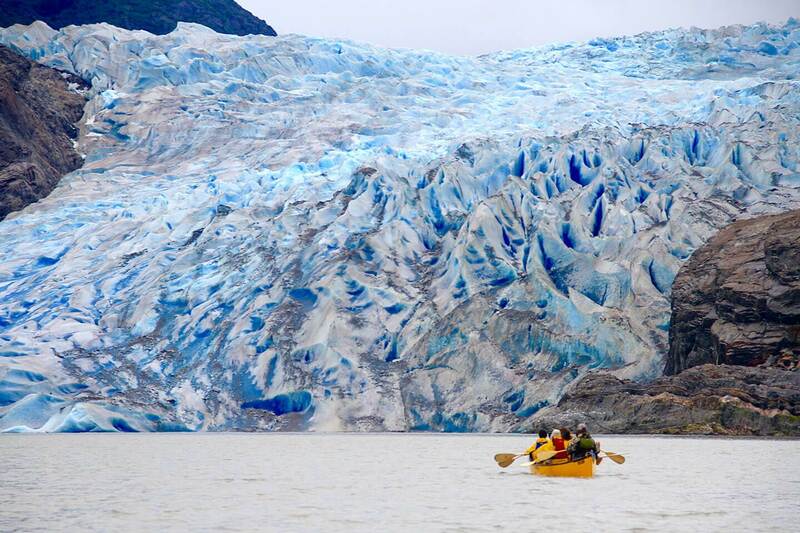 Paddling over the lake you round the peninsula to face Mendenhall Glacier which hits you with a cold gust of “WOW”. 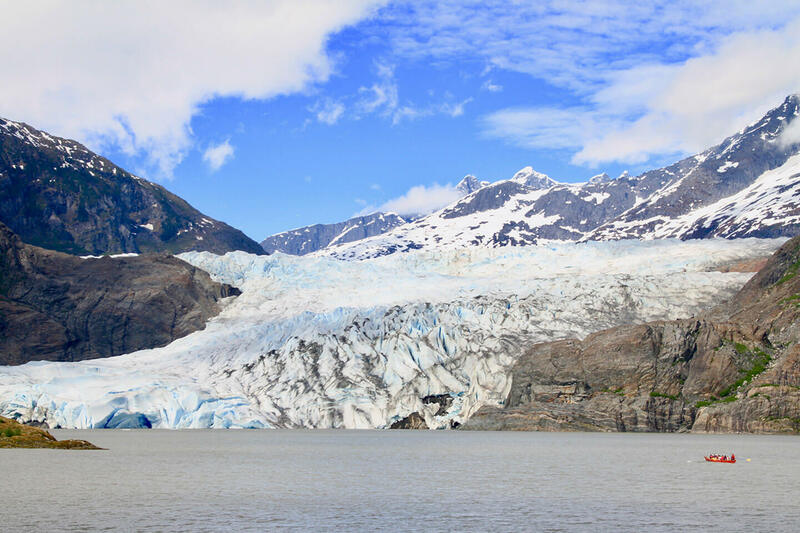 Over 1 million people will visit the most famous glacier in Alaska this year. 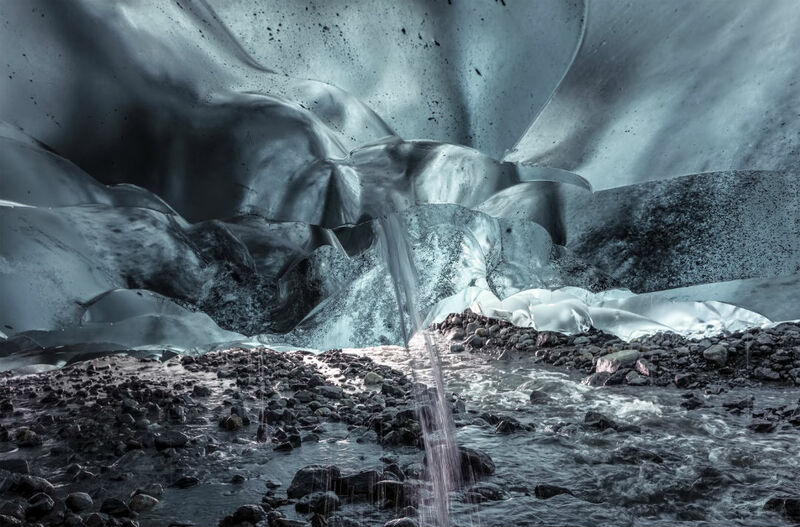 But only a few thousand, less than 1/10th of all visitors, will have the opportunity to walk on the surface and to maybe even visit the famous ice caves. 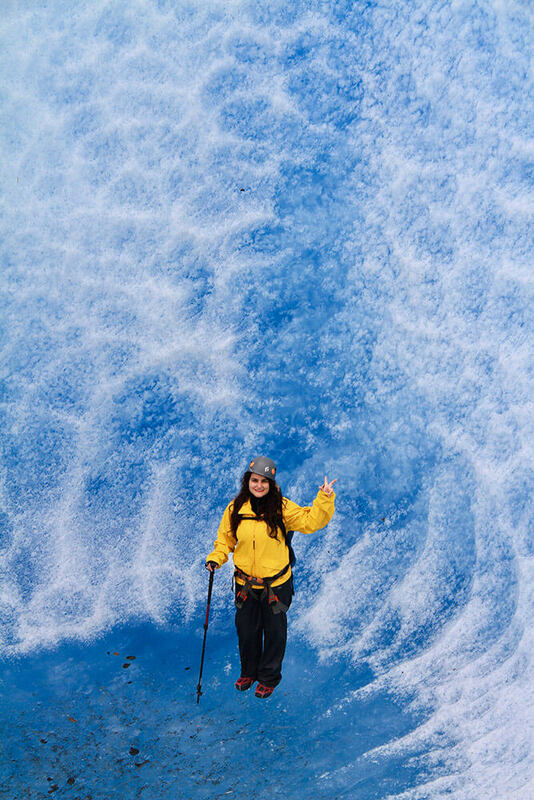 But the Mendenhall Glacier has many more amazing features to experience when trekking onto the icy surface. 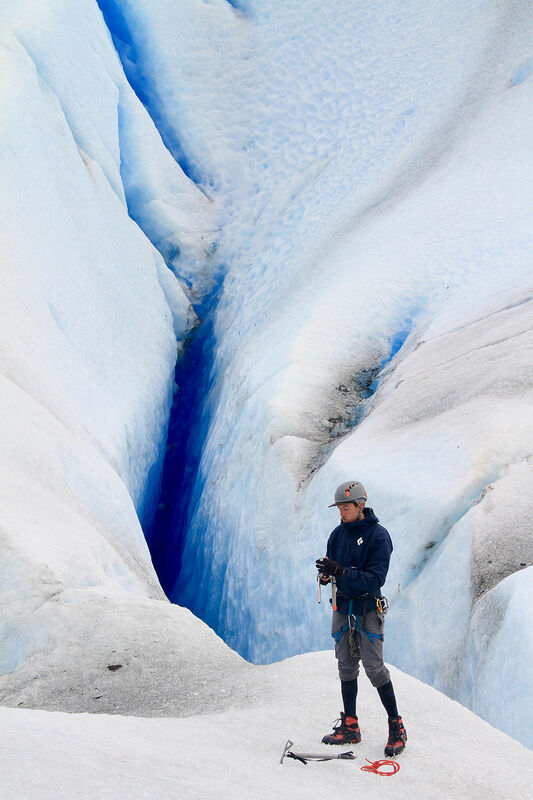 From seracs, moulins, crevasses, and so many more. The best part – it changes everyday! That’s right. Everyday is a little bit different than previous days. This dynamic environment is not only extremely exclusive but also totally unique on the day you visit. 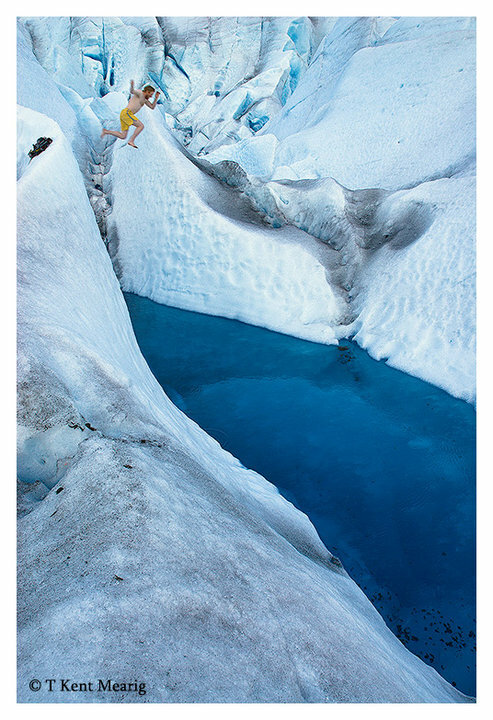 No, I am sorry, but you can’t jump in to a glacial pool during the tour. We promise it is as cold as it sounds. There are several ways to access the glacier and the ice caves, but motor boat is not one of them. 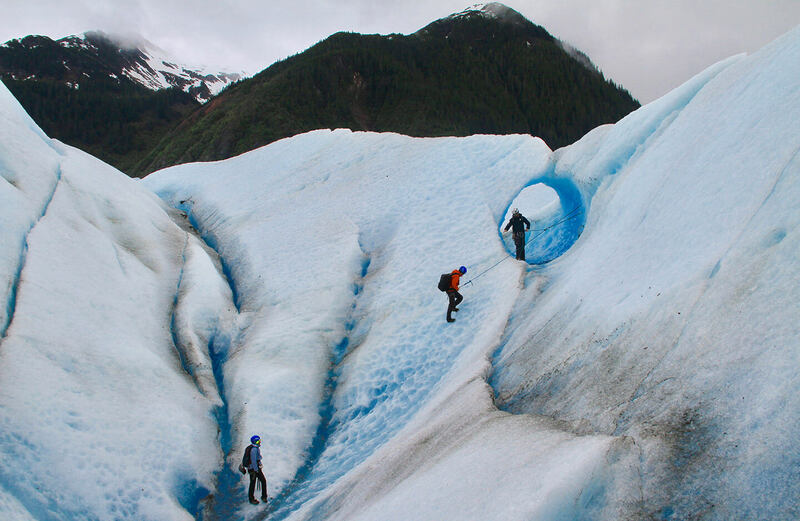 Only non-motorized transport is allowed to reach the glacier face, so that means either by foot or by paddle. Below are the details of both options. 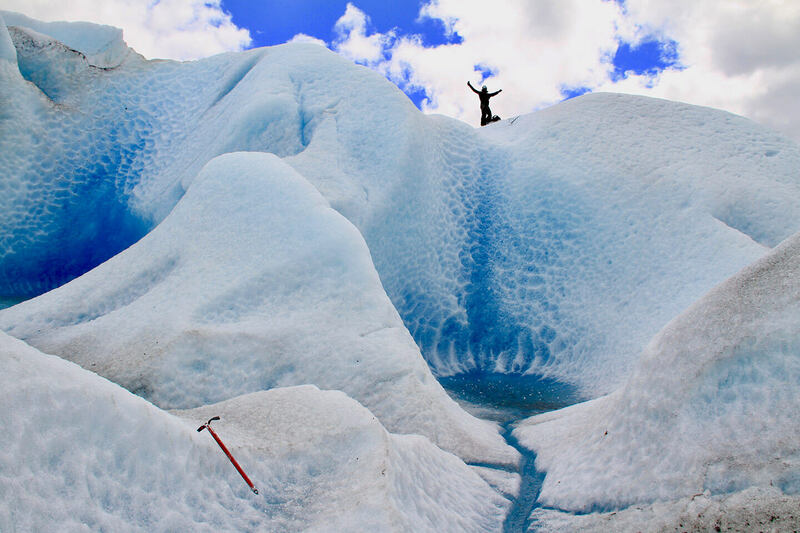 Please note: we are the only professional guiding company who can trek onto the glacier surface by foot or by kayak. 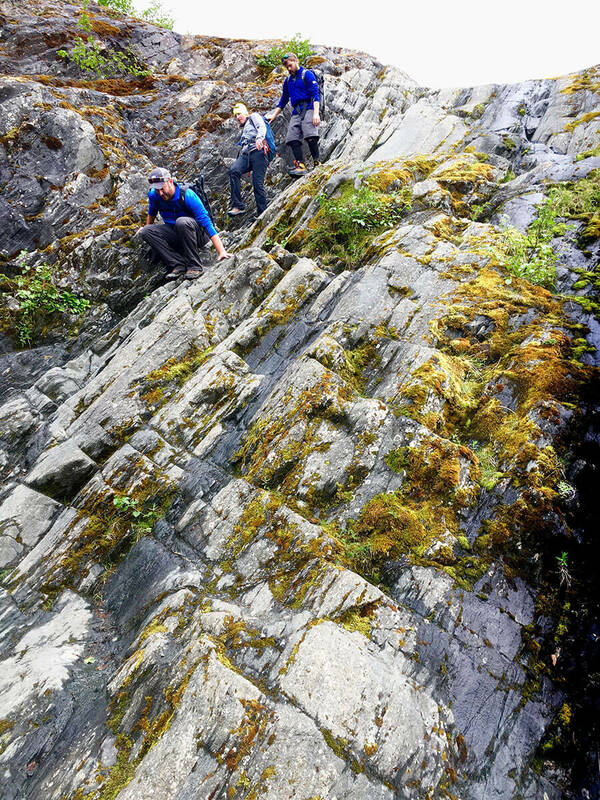 It has sheer rock surfaces which when wet are very slippery and hard to not slip on. 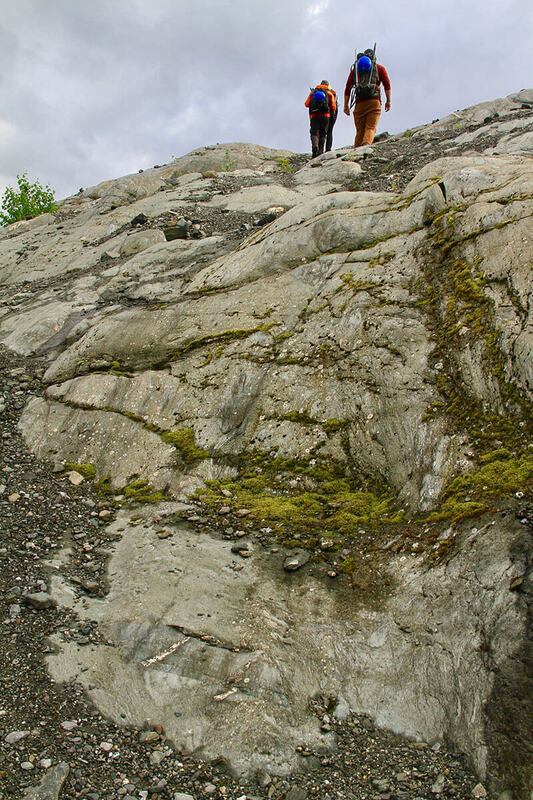 It has loose rock surfaces which slide under your feet when going up and down hills throughout this trail. 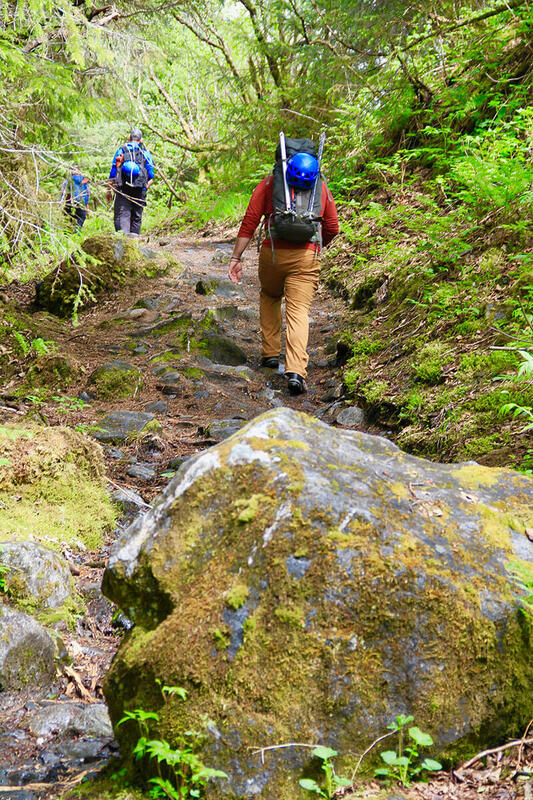 While the trail only gains and looses about 800 feet of elevation, the points of elevation can be considered steep and challenging to traverse. ALL OF THAT BEING SAID – It is beautiful, challenging, thrilling, and awe-inspiring. If you love hiking, you will love this trail. Great for physically active people who want to stretch their legs on vacation. 8 hours long – get to be outside and adventuring longer! Experience the Tongass National Rainforest – the second most diverse forest in the world behind the Amazon! See the various stages of glacial recession from old growth to the newest exposed surfaces. A Trail of Time! Great tour for natural history, flora, fauna, and best panoramic views. 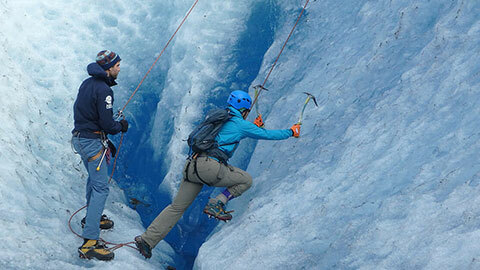 Private Glacier Trek is perfect for family groups (8 years and up), slower groups, faster groups, and photographers. You must wear solid shoes such as ankle high waterproof hiking boots or waterproof trail runners. Lots of traction needed and plan on getting your feet wet, it is a rainforest after all. If you would like to join a professional wilderness guide who walks this trail everyday, can show you the trail divert, help keep you safe over difficult terrain, provide all safety gear including trekking poles and traction footwear for the ice surface, brings snacks, and gets you back on time at the end of the day, then please consider booking our Glacier Trek or Private Glacier Trek tour. This trail is advanced enough that unguided travelers have to be rescued by Capital City Fire and Rescue by the dozens every year. Do not attempt this trail without proper safety gear, communication methods, and detailed topographical maps. Also a extra tip: Juneau taxi’s often run late and are delayed with huge demand. Make sure you give yourself plenty of time to get back to a cruise ship because we won’t be able to add you to our guide’s van. We guarantee you won’t miss your cruise ship or we will cover the costs to get you to the next port. (Always buy travel insurance in case something else comes up). 10 hours long! Not for the faint of heart. No literally, you can’t have heart problems and go on this tour. Everyone must be physically fit and active. 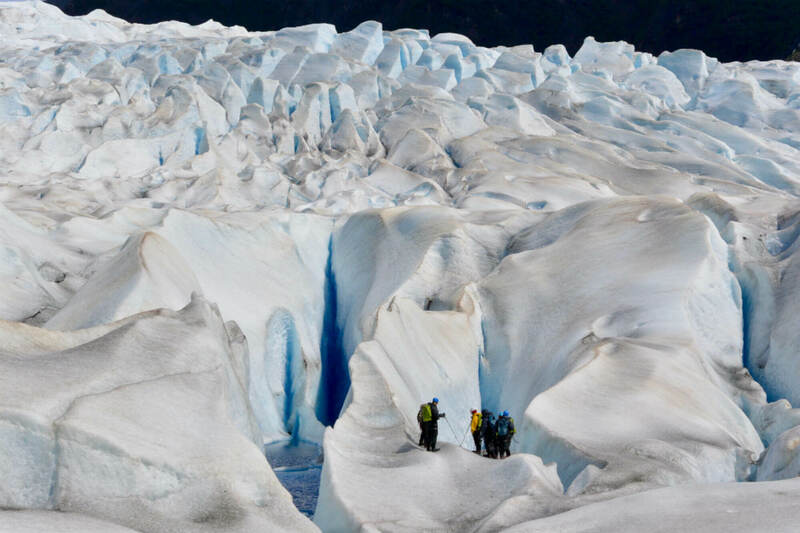 Exploration of the glacier surface that no other visitors get to see – go farther and let the guide show you the “secret spots” only they know about. You have the time! Get out there and find new features never seen before! Ever seen an ice fall before? Want to? Just ask your guide and see their eyes light up in excitement. 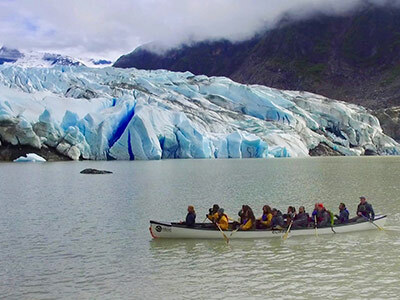 Canoe – the long tradition of the historic mighty canoe lives on in Southeast Alaska. This boat has stood the test of time for a reason. Sturdy, safe, and very smooth on the water, this is the perfect mode of transport for groups. Bring more stuff! Camera gear anyone? Kayak – the sleek and popular kayak allows you to sit low in the water and feel more connected to the environment. Its a favorite of paddlers worldwide and allows you to explore the lake more with your guide before trekking on to the glacier. 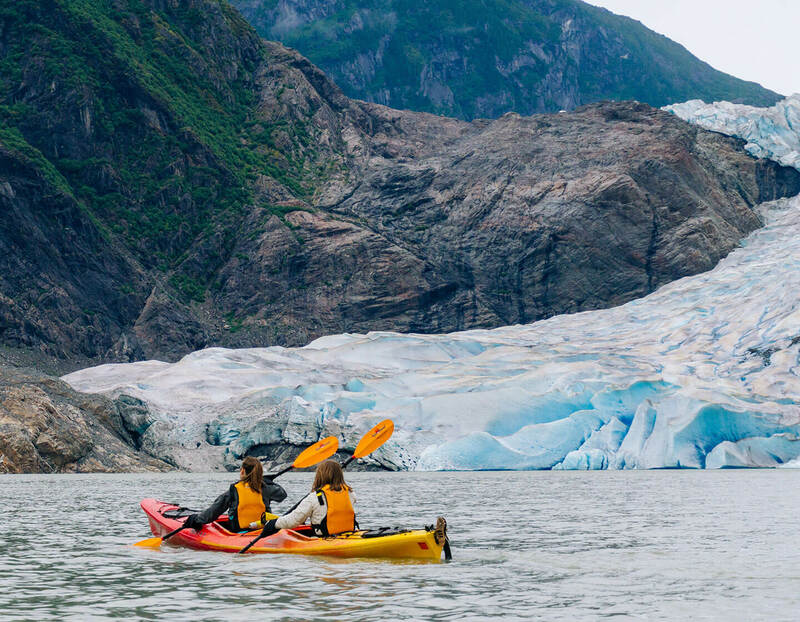 We only offer private kayak trips to the glacier. 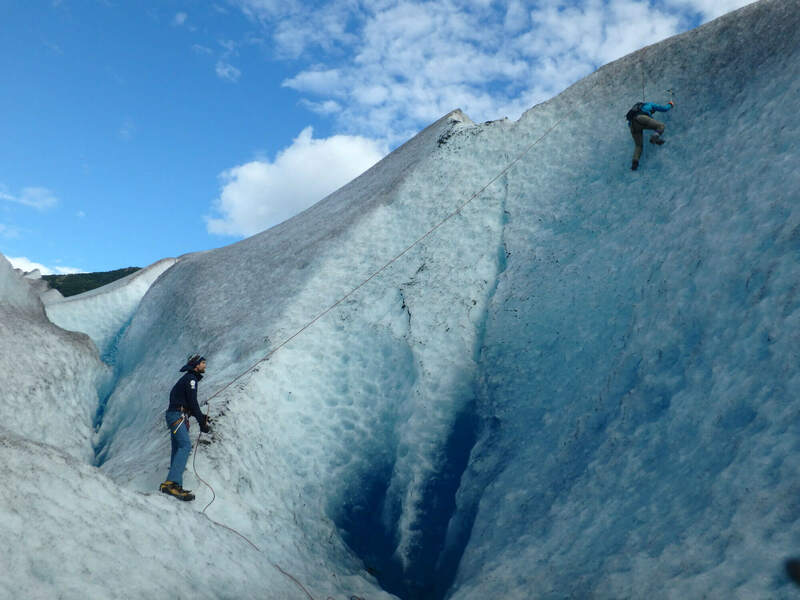 All glacier tours visit the same area of the glacier face and have equal chance of accessing the ice cave and other features. We recommend you pick your tour by your favorite mode of transportation! Day trip not long enough? 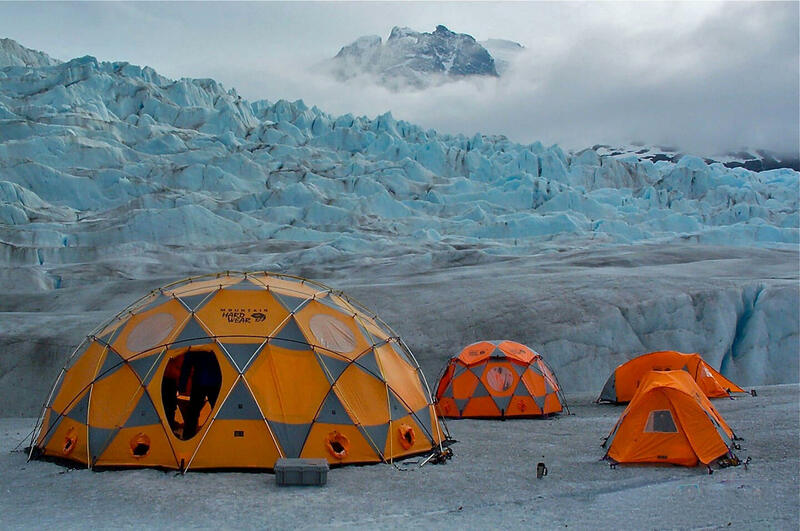 Want to spend the night on the ice? 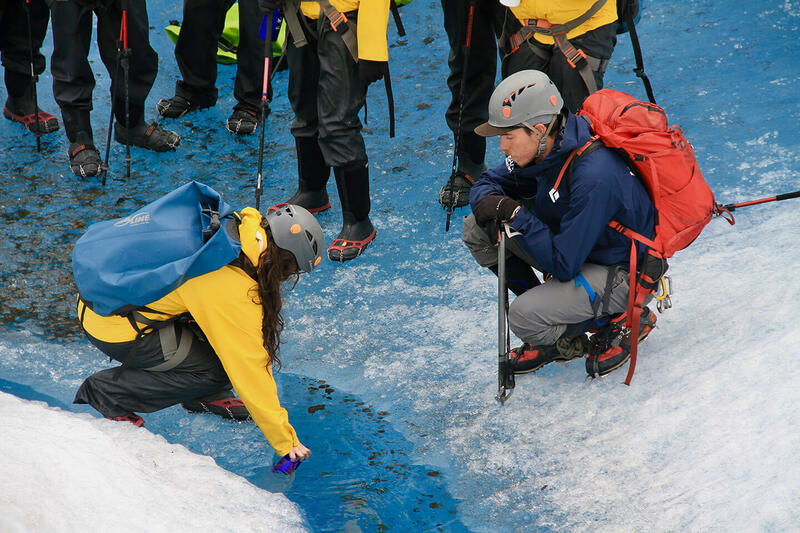 Join us for the ultimate glacier adventure!